At the starting line of this year’s Leadville Trail 100, doubt occupied the same rarified air as nervousness. I stood there at 3:50 a.m., posing for pictures with my wife and friends, wearing the sweatshirt I received from my previous LT100 finish in 2004. The right arm sported my name and finishing time: 21:20. It was such a distant memory that the iron-on letters had almost completely worn off. Given the five-year gap since my last LT100 run – a timespan that included a fractured fibula in the spring of 2008 and the plate, pins, and screws that still reside around my ankle region – I had very serious doubts that I could click off the same time this year. Sub-20 would punch my ticket into elite company in the Leadville Trail 100 archives. And, in any other year, it would also place me in the top three finishers. But, I say this with all honesty and no false modesty whatsoever: I had serious doubts about whether I could physically crack the 20-hour mark. I could not say with certainty that I possessed the physical tools to get me through 100 miles and back to 6th & Harrison in downtown Leadville before midnight (when the clock would strike 20 hours). So, as I shed my sweatshirt and handed my stocking cap to my wife, Holly, I tried to shake the doubts from my head, focusing instead on the dark road ahead of me. And my first target split, 1:45 to May Queen. Sometimes you don’t know what you’re capable of until you do it. The shotgun fired into the clear night sky and I settled into a chase pack of several runners. The lead pack, which included Anton Krupicka, Tim Parr, Duncan Callahan, and a few others immediately opened a gap. But this was where I wanted to be, in the chase pack, and I looked around at the other runners as our treads left the pavement of 6th Street and scraped against the dirt road known as The Boulevard. I cherish this part of the Leadville Trail 100, the first half marathon, because the miles flow by so effortlessly and it’s the only section where I have the energy to carry on a conversation. Later, and for most of the race, I am so focused on the task at hand – breathing, battling demons, looking for a rhythm – that I find it hard to chat very much. And I couldn’t have hand-picked a better crew of pals to be sharing the same stretch of road. My headlamp flittered to Jason Koop, a great guy from Colorado Springs who I first met while we were crewing for Dean Karnazes in the 2006 Badwater Ultramarathon. Koop ran for Texas A&M back in the day and knows how to train (he works for Carmichael Training Systems); so I figured he’d be near the front of the pack all day. Then there was Andy Jones-Wilkins, who has grown into a legend at the 100-mile distance. Known as much for his top results as his booming, colorful personality, Andy had already rattled off elite-level times at June’s Western States 100 and July’s Hardrock 100 … but, tired legs or not, we all knew he’d be near the front again after the dust settled on this day. Yet that didn’t stop him from trying to lower expectations (also known as “sandbagging”). “I just had to come down here and do one of the classics,” he said so innocently. As we left the dirt road and transitioned to my favorite stretch of singletrack on the planet, Turquoise Lake, Bryon Powell ran alongside us, as well. I first met Bryon at the Grouse Gulch aid station at the Hardrock 100 in July 2005. Somebody introduced us via email and he volunteered to pace me over Engineer Pass and down into Ouray. After only a few miles that day, I knew I had lucked out: Bryon’s enthusiasm and friendly intensity are contagious. This year, he and I had had the chance to meet for several training runs in Colorado. After he battled through an Achilles injury – deciding for a short time to pass on Leadville – he declared his plans to run the race after all. He also seemed to be taking a page from the Jones-Wilkins Book of Sandbagging, too. He swore up and down that his goal was in the 21-22 hour range. But as I noted his early intensity and, later, observed him running up Hagerman Pass Road, I suspected that he had other intentions. The four of us exchanged banter and life updates for several miles. We kidded Andy about how it’s Leadville tradition to leave your light on during the last ten miles of the race (as a tribute to the area’s mining heritage). The opposite is actually true. 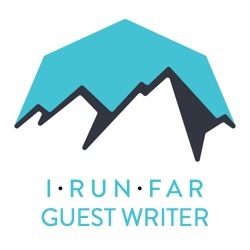 We also swapped stories about kids, weddings (Koop just got married this summer and LT100 Race Director Ken Chlouber officiated), jobs, and LT100 folklore (more than a few Joe Kulak jokes brought laughs … we missed you, Joe!). and look back along the shores of the lake. There you will see a procession of headlamps bobbing up and down along the trail. It’s a magical, single-file candelabra, like a night-time funeral procession for a great king. Returning to the trail, I subconsciously ran a quick pace and soon found myself catching a few other runners. One of them, with shag-carpet sideburns, had the friendliest disposition this side of Santa’s Workshop. I asked him his name. Aaron Schwartzbard. A famed name in the sport. I felt honored to be sharing trail with these guys, and also wondered if I was running too hard. Aaron and I arrived at the May Queen aid station (Mile 13.5) in about 1:48. That was about three minutes off my sub-20 target split, but I was not at all concerned. I felt great to be here and I knew that this split time was the most inconsequential of them all. Case in point: my arrival time here was faster than last year’s top three LT100 finishers, all of whom cracked 19 hours. 100 miles is a long, long way, and it’s very easy to make up (or lose) three minutes. Holly and my sister, Kris, caught up to me on the other side of the aid station tent. This was the program all day long and I owe them a larger-than-Mount Massive dose of thanks for following my tired, occasionally grumpy self all around the Rockies on this day. Holly and Kris had fresh bottles, a banana, and an Ensure. I worked hard to get it down as I hiked up the paved road to the Colorado Trail trailhead. In fact, I had to work too hard – this may have been the first sign that my stomach would have the disposition of a bratty little teenager on this day. I made the decision to keep my headlamp during this section, even though the sky was lightening. I just was not sure how dark it would be in the pine trees. I was glad I made this decision; the trail soon turned technical and I liked having the extra bit of light on the trail. I took this to mean that I shouldn’t get too excited and run many of the uphills – especially when my legs still felt good. So what did I do when I left the singletrack Colorado Trail and hit the gentle uphill grade of the Haggerman Pass Road? Yep, I started running. I wasn’t necessarily running hard and my breathing was well under control, but I still gained quickly on Bryon Powell up ahead, who was also running. And I could make out two other runners ahead of him. On this road, I clicked off my headlamp. I’ll need to check my splits, but I am confident that I’ve never clicked off this uphill section as quickly as I did. Near the top, the sun had finally peaked over the high peaks to the east and I was soaked in golden rays. If I wasn’t trying so had to conserve energy, I would have burst out in song, probably something from Sound of Music or “Oh what a beautiful morning” (which Bryon had been singing an hour earlier on the Turquoise Lake Trail … whoa, Bryon, time for some singing lessons!). Near the tip-top of the climb, I also caught up with a Grand Junction, Colorado runner named Marty. I had briefly met Marty in passing at the Turquoise Lake Half Marathon. In fact, I only spoke with him at the finish line because he bolted away from me so quickly after the race began. He won that day, seemingly without effort, and today he seemed to glide along. I learned it was his very first 100 miler and he admit that he wanted to stay very, very conservative. I pegged him as a frontrunner, based on his lean runner’s build and smooth mechanics. He also had a ponytail and runners with long hair have a solid history at Leadville. Soon the trail plunged downward toward the Arkansas River Valley. As much as I enjoyed letting my stride surrender to gravity, I found myself anxious for the occasional uphills so I could hike and take in a gel or two before reaching the road that leads to Fish Hatchery. Normally, I take maybe 12 gels over an entire 100 miler. Today, I was 20 miles into the race and already taking my sixth. Bryon Powell and I ran back and forth during the downhill dives while Marty eased back a little bit. Soon we hit the flat at the bottom of the Power Lines, went around the big puddle that never seems to dry up, and hiked up a slight grade to the Fish Hatchery Road. A crowd of people had gathered and cheered us on. Throughout the day, I felt like I was able to run flat and rolling sections with smooth footing very well and this stretch set the tone. I ran strong here, passing Bryon and then Jason Koop. In between, I chuckled while passing the adobe house that always plays music on Race Day. The boom box was blaring again … I think it was Eye of the Tiger … but this year they posted a sign: Bring Fresh Horses and Whiskey for My Men. Eye of the Tiger, Rock. Eye of the Tiger. The LT00 finisher’s belt buckle is only somewhat smaller. Arriving at Fish Hatchery aid station. I’m in yellow. That’s Jason Koop rocking the road in front of me. At the bottom of the Fish Hatchery aid station driveway, I met up with Holly and Kris again. I had a bottle of Ensure and a little bit of banana here. I was definitely trying to be cautious with how much I was eating (I over-ate during the first portion of the 2004 race and paid for it), but I was also growing increasingly worried that nothing, absolutely nothing, was sounding appetizing. I also recall seeing two-time Leadville champ Paul Dewitt here. Paul owned this course earlier this decade. “Whoa, Garett, you’re running with the big dogs!” he said. Thank you for those encouraging word, Paul. Soon enough, I felt more like a big dog’s chewtoy out there! Preparing to dump some gear at the Fish Hatchery aid station. Before heading out to the long paved road section, Holly gave me my cap, sunglasses, and iPod. It was time to motor. The time was just after 7:30 in the morning. I remained on pace for sub-20. I was soon lost in tunes, rhythmically placing one foot in front of the other. That is, until I caught up with Bryon Powell. Through my cranked-up volume I could hear Bryon say, “Go get ‘em, Garett!” before also reminding me to soak in the views along the way. I lifted my gaze from the pavement and took in a 30-mile view that covered Hope Pass, Mt. Elbert (Colorado’s highest peak), and Mt. Massive (Colorado’s second-highest peak). I spent the next many miles reminding myself to look up and not focus so intensely on executing my race plan. “It’s supposed to be fun out here …” Those remindful words echoed through my head many times throughout the day. The greatest crew a guy could ask for: my wife Holly and sister Kristina. To the right, in the stocking cap, Paul Dewitt looks on, probably thinking about how slow all the runners look compared to his record-setting run here. Just a few days before this year’s race, a military helicopter crashed on the upper slopes of Mount Massive. As a result, Half Moon Road was closed to public access – a development that would affect about six miles of the course. This came as news to me … the day before the race. At first, I had a mild internal freak-out over the subsequent course re-route. “That’s terrific,” I thought to myself during the pre-race event, while swigging another gulp of water from my Nalgene. “Talk about being thrown a big curve ball in the bottom of the ninth inning!” But, in talking to the 2008 Leadville champ Duncan Callahan a little later, we agreed that it could be a good thing – whereas before we’d have to run up a not-so-romantic dirt road for four miles (a route we’d trained on countless times), now we could enjoy a little discovery on a course that we already knew very, very well. So, as a result, I actually looked forward to the next section. Reaching the top of the dusty road, where the pine trees seem to have suddenly decided to start growing – an area so cleverly called “Treeline” – the course veered left rather than continuing straight. This, I understand, mimics the Leadville Trail 100 mountain bike course, and I tried to imagine the crankheads motoring through here after less than two hours. I was more than four hours into my own race. From here, the course rolled due south and occasionally southwest. Along the way, it passed through an open meadow where crews had parked their cars. Farther east, a double-prop military copter came down for a landing, its rotors thwumping in my chest. Here, Kris and Holly waited for me with water refills. Again, I struggled to take any of the food they offered. Holly reminded me, “Remember, this is the part of the course where you always feel crummy, so hang in there.” I needed to hear that, even if I already knew it. So I cranked up the tunes and continued on the dirt road focusing on catching Bryon Powell yet again; he had passed me while I worked to eat something, anything, that Kris and Holly had for me. The course took a sharp right-hand turn into the trees and we enjoyed some shelter from the sun. Bryon now ran 20 yards behind me and seemed to be easing back. I pushed the pace a bit, being careful not to redline. I was running comfortably now, and feeling my body coming back around. This was the balancing act I tried to play all day – stepping on the gas just enough to run hard, but without overheating my engine. On one horseshoe-curved stretch of trail with a slight descent and then a slight climb, I took a little glance back and didn’t see anybody. Here, I began to wonder if I was running this stretch too hard. But, I noted, I was still feeling good. Maybe it was my day. Nahhhhh … still too early to tell. an’t touch the stuff. No idea why. I also took several pretzels here and, after eating the fruit on my way out of the aid station, took them down to try to keep the stomach calm. It’s worth noting that I was being extra diligent with my salt/electrolyte intake throughout the day. I was taking two per 90 minutes, in anticipation of the hot weather. This plan worked for me at the Bighorn 50 earlier in the summer, also a hot day. And, through mile 30, it seemed to be working. I was going to bathroom regularly … and clearly. Shortly before the primitive road turned to singletrack and joined the Colorado Trail below the slopes of Mount Elbert, I heard a familiar booming voice not far behind me. I didn’t look back, because there was no need to. It was Andy Jones-Wilkins. I knew in the back of my mind that he was lingering not far behind me over the last 20 miles, and I felt confident that it wasn’t a matter of if he would pass me but when, but I had envisioned it taking place later. Don’t let the smile or rugged good looks fool you: Andy Jones-Wilkins is to be feared. At this point, I picked up the pace. Maybe it was because I didn’t want to be passed by Andy … yet. Or maybe it was because I was beginning to feel the best I had in 15 or so miles. Or maybe it was being on one of the most beautiful, run-able stretches of trail, shaded amongst the trees, and smelling of warm pine. Or maybe it was because Viva la Vida by Coldplay came up on the iPod. Or maybe it was the anticipation of arriving at the Twin Lakes aid station (still a solid six miles away). Regardless, I was suddenly flying along, and I passed three runners. At the same time, Andy’s voice vanished. But I still knew he was there. I’m big on trail karma, the sense that spreading goodwill on a trail will come back to you some way, some day. And, over the final few miles into Twin Lakes, I had a few chances to spread some. First, I passed by one runner on a long gradual downhill. I slid by but, 50 feet later, decided to stop. “Sure.” And I played doctor on the trail. I didn’t know the runner, but would be curious to hear what happened to him. If he reads this, it’d be great to hear from him. ‘Tis wise to spread good karma on the trail. Doesn’t the Buddha look a little bloated from too much electrolyte intake? Then, on the final steep downhill into Twin Lakes, I over-ran a sharp right turn, realizing only at the very last instant that I had missed the turn. I hit the brakes, backtracked, and moved two large logs over to block the wayward route and (hopefully) give runners just enough reason to pause that they would notice the sharp turn. Arriving at Twin Lakes outbound is one of the true highlights of the Leadville Trail 100. It’s early enough in the race that runners normally feel good (“good” relative to how they will feel when they come back through Twin Lakes) and there’s a large crowd of people gathered to provide a big boost. For me, it’s a great feeling to know that 40 miles are behind me. Lastly, the morning-long anticipation of Hope Pass is over with, because this aid station signals the beginning of 20 of the toughest miles in ultrarunning: a double crossing of 12,600-foot Hope Pass. I ran right through the actual aid station here, having made plans to meet Kris and Holly at the far end of the Twin Lakes parking lot. I saw many familiar faces as I made my way through the dusty side roads of town: Annette & David Fortune, Billy Simpson, Sue Wilcox, and Scott Jaime, to name only a few. Kris and Holly had laid out everything I could possibly need on a picnic table overlooking the wide river valley across which runners go before beginning the Hope Pass climb. I took some Clif Bloks, fresh water bottles, and a whole banana. I also drank half of an Ensure – about as much as my stomach would allow. The view leaving Twin Lakes. That’s me in yellow. I walked on the trail leading out of Twin Lakes, focusing on eating a bit before I would begin running again. Here, Andy Jones-Wilkins appeared right behind me. He said he was feeling OK. I basically said the same. It was apparent we were both trying to conserve energy. Departing Twin Lakes, sans trekking poles or much of an appetite. In the end, I opted not to use them on this leg, not because I didn’t think they would help. I just didn’t want to wrestle with them and a hydration pack while running across the roughly two miles of river valley (I always use handheld bottles). It’s an easily run-able section and, if you have legs, it’s possible to make up some decent ground. My decision seemed justified on Race Day as I began running again. I quickly pulled away from Andy, who seemed to be wondering whether he could carry the poles and run efficiently at the same time. Soon, he was out of view again and I caught glimpses of another runner ahead: Jason Koop, who I had not seen since Fish Hatchery. “Epic” would not describe the river crossing this year. Although there was a fixed rope, the flow barely reached my knees. Still, it brought relief to the legs and I lingered in the cold water for 30 extra seconds while also soaking my cap. Throughout the day, I worked to integrate pressure breathing into my run – and especially on the climbs. I first began using this method (which involves inhaling deeply and then exhaling forcefully through tightly pursed lips; the belief is that it helps, even in a small way, to equalize pressure between the lungs and environment at high altitudes) at the 2005 Hardrock 100. I can’t say whether it worked, but my results for that race and subsequent high-altitude 100s have been positive. Maybe it’s a placebo effect; there’s no way of telling for sure. Still, on the climb up Hope Pass, I set a steady, strong, maintainable pace, hiking with purpose. With my cap bill pulled low, I limited my field of vision to 10 yards ahead of me. Soon, I passed one runner wearing a red and white singlet. Then, about 2/3 of the way up the Pass, I caught Jason Koop. I lingered behind Jason for some time, stopping at one other point to dip my cap into a thin stream running along the trail. I hope I wasn’t being anti-social, not talking to Jason, but I had my iPod on and I was in a good zone. Besides, my breathing was so deep and fast at that point that it would have been a chore to keep up a conversation. “Hey Jason,” I said. “I’d talk, but it’s taking everything I have just to breath.” He seemed to feel the same way. As the trail leveled out slightly on the final half mile approach to the Hopeless aid station (mile 45, elevation: 12,000 feet above sea level), I pulled away from Jason. Something told me I’d see him plenty more later. And I was right. Oh, man, I was right. The Hopeless aid station is undoubtedly one of the most unique and memorable aid stations in trail running and it’s unfortunate that more people can’t soak in this amazing scene (it is not crew-accessible; in fact, supplies are carried up here by a team of llamas the day before the race). I slowed to a fast walk, went into the tent, chugged two cups of Sprite, and left. I also had one water bottle refilled with plain water. Nearing the top of 12,600-foot Hope Pass. Lately, Holly and I have been reading a children’s book series to Sawyer called “Llama Llama” – the books are a sing-song rhyme sequence that sprinkles in words that rhyme with “llama” (i.e. “mama” and “drama”). So, it goes without saying that I had some of the lines from the books repeating in my head for the next few miles. No matter how high I cranked the volume on the iPod, there it was, “Please stop all this llama drama, and be patient with your mama.” Ugh. At the top of Hope Pass, I always experience a burst of emotion. From here, it’s possible to view the race’s turnaround point, far below in a very tight canyon. It’s also possible to turn around and see the entire expanse of what you’ve run up to that point. With a fist pump and a loud shout, I pointed my toes downhill and let ‘er rip. I didn’t recall this downhill being such a quad cruncher – steep, with sketchy footing in spots. I also had to negotiate some rock fields that challenged my footing as well as the plate still screwed to my fibula. About one mile from the bottom, I yielded to the leader of the men’s race, Anton Krupicka. “Good luck on the trip back, Anton,” I said, barely slowing my pace. He glanced at me with a blank expression similar to what I saw on Matt Carpenter’s face late in the 2004 race – a look that could best be described as the polar opposite of lucid. I wondered if he was just going through a rough patch (as we all do), or if he was on his way to some more serious problems. When I first started running Leadville in the late 1990s, the dirt road leading to Winfield was a carnival of activity. Cars parked everywhere, people enjoying the day in camping chairs. Loud cheers. Really, a tunnel of people for at least a quarter of a mile. I recall one year a group brought out a big grill and had brats and burgers flipping through the air. Somewhere along the way, I guess the rules changed and the organizers stopped allowing crews to meet their runners on the dirt road. Because now the road was desolate, livened only by the occasional car making its way up the road to Winfield, where crews are now instructed to go. With a slight side breeze, I stayed to the far side of the road to avoid dust being kicked up by the cars. These guys paced me up the tough, hot miles up to the Winfield turnaround. I’ve never been a Journey fan, but the song “Don’t Stop Believin’” gave me a kickstart on this lonely stretch. I listened to it twice as I managed to run all of the uphills on my way. While on my way, I counted the runners who were ahead of me, already on their way back to Leadville. Tim Parr. A short, lean guy with dark hair wearing white. Duncan Callahan. And at least two others I didn’t recognize. Winfield was once a bustling mining town, complete with a schoolhouse. Today, many of the wood cabins still remain, giving the aid station the feel of a pioneering outpost, almost a step back in time. argeted splits. More importantly, I felt great. My legs had a numb-but-energetic bounce to them. Here, I was buoyed by the sight of not only Kris and Holly, but also my pacers Rich Rodgers and Bob Sweeney. Primed to go. Rich Rodgers gets ready to pace me out of Winfield. If somebody has an appetite, Winfield is heaven on Earth. Pizza. Sandwiches. Chips. Soda. Soups. But the only thing that looked good to me was the watermelon and a few more cups of Sprite. Once I cooled down and walked to my crew, I was able to take in another half a bottle of Ensure, but it was the same story: absolutely nothing looked good and I was in no mood (yet) to choke down food. My stay at Winfield was beginning to feel too long, so I turned and began walking away from the aid station. Rich, who would pace me to Twin Lakes, was busy gathering water bottles and gear, and would catch me in just a few minutes. 50 miles down. 50 to go. Somebody once said about the marathon, “You run the first half with your legs, the second half with your heart.” The good news was that I still had legs. Time would tell when they would call it quits and I’d have to find some heart. I was happy to see that I still had my running legs under me as I stretched out my strides on the dirt road back to the main trailhead. Of course, the road was mildly downhill and knowing this made me feel like I had a wind at my back. I also enjoyed seeing a lot of familiar faces heading up to Winfield, including Ryan Cooper, Bryon Powell, Todd Gangelhoff, and Todd Holmes. When I was nearly to the trailhead, I saw Darcy Africa, the women’s leader. She didn’t flash her trademark ear-to-ear smile, and I wondered if she was having a difficult day. I spotted the next women’s runner less than five minutes later, just after I started the uphill climb back up Hope Pass. I had been planning for weeks to use trekking poles on this section of the trail. Firstly, this side of Hope Pass is shorter and steeper. Secondly, with Rich pacing (and “muling”, which means he was carrying everything for me), I didn’t have to carry the poles on the very run-able dirt-road and the downhill on the other side of the pass, leading to Twin Lakes. Heading up the South Face of Hope Pass. The trekking poles were HUGE on this ascent. The poles helped, without a doubt. The only downside was that I immediately felt less like a runner and more like some European on his way to an alpine hut for his next dose of schnapps. Still, I was making decent time and the effort level was as intense as I could handle. I turned inward, worked on my pressure breathing, and listened to Rich talk about a recent mountaineering adventure in the Cascades, a gal he’s been dating (for reasons of confidentiality, that’s all I will share), and an assortment of other topics. Rich seemed to get it – and seemed to be enjoying himself. That’s one of my hopes when I’m running these things – that my pacers are having a good experience and not pondering whether I’m a 4 or a 9 on the Whatta-Jerk Scale. At some point, Rich began remarking that his head was overheating. He was stammering something about how he might have to adjust his hat. Yadayadayada. And I kept my head down, arms pumping to the rhythm of my legs. The trekking poles planting on rocks and hard ground. Tick. Step. Tick. Step. Tick. Step. Runners were swarming downhill past me, on their way to Winfield. And I recognized many of them, offering words of encouragement whenever I could – either by name or by their shirt. More than once, I said “Nice job, C.R.U.D.” – that’s the Coloradans Running Ultra Distances club out of Colorado Springs, a spirited bunch with a penchant for long miles and cold, adult beverages. Wait a second. Rich is basically bald. And I had a cap on. What drugs was this guy taking? I glanced back and almost coughed up the two gels in my stomach. “Don’t mess with the ‘fro.” A great pacer keeps his runner smiling. He had been wearing the wig for 15 minutes. My head was just in a different place and I didn’t notice. Rich joked about how he was also going to wear a cape, but he didn’t want me to think that he wasn’t taking his pacing duties seriously. That moment of levity, which came just a few hundred feet below the pass, was just what I needed. As we crested Hope Pass, Leadville and the finish line suddenly seemed so much closer than at any other point during the climb. Worlds closer. If I had a para-glider, I could have soared there in a matter of minutes. Instead, there were 45 miles to go. I handed the trekking poles off to Rich and worked to make good time on the downhill while he lashed them to his pack. My legs came back to life and I noted a few more familiar faces, including Joy Robertson. Joy has a particularly soulful connection to the Leadville Trail 100 course and she held in one arm a small jar. “I’m spreading my dog’s ashes up on the pass,” she said. She had put down her dog only a few weeks earlier. Back at Hopeless aid station, I slowed just enough to down a little more Sprite and a piece of watermelon. I normally don’t eat much here, since the major aid station of Twin Lakes is only four miles away, downhill. But a voice in the back of my mind was urging me to stay here and try to get some more serious food into my system. I just wouldn’t listen. I’ll admit it now: I had tunnel vision on making good time on the descent. It’s tough to stay smart when gravity is tugging at your shorts. Surprisingly, the quads held together fine on the descent and I felt I was able to run this stretch strong. Soon enough, the trail leveled off and we were traversing the valley floor, splashing through the river and around a few other muddy puddles. Anticipating the Twin Lakes aid station (mile 60), I took stock of my body and what I might need. Although I was making good time and running well, I was alarmed by how few calories I had taken in since Winfield, over two hours earlier. I mainly had a few gels and a few bottles of Perpetuem, so I consumed maybe 500 calories. What’s more (graphic contents to follow) I had peed only twice over the last 20 miles and both times my urine was deep yellow – normally a sign of dehydration. Garett & Rich arrive at Twin Lakes, mile 60. So, arriving at Twin Lakes, I gave myself a mandate: eat. Easier said than done, though. As usual, nothing looked good at the aid station smorgasbord, so I walked right through, taking only two slabs of watermelon. As my next pacer, Devin Gardiner, swapped supplies with Rich, my crew offered up every bit of food under the sun. My reply to each offering: “No, that won’t work.” So I choked down a little bit more Ensure and turned back toward the course, hoping I could eat more while in between aid stations than actually in them. For the first time of many, Devin assured me that I was doing great. Devin’s positive spirit – and his strong running legs – proved to be a major factor in how we ran out of Twin Lakes. Just out of sight of the aid station, over a slight hill, I paused beside Devin. I thought my stomach was going to erupt. But, after a few seconds swaying with my hands on my knees, everything seemed to settle and we continued uphill. In retrospect, I probably whined a lot during this section, and I’m lucky Devin has the low-key, patient demeanor of a Benedictine monk … in a previous life, that was likely his calling. I could imagine him in a mountain monastery, wisely listening to others in the town piazza, before setting out for a 30-mile run into the Alps. He has a way of listening quietly and making his soft-spoken words count. As we hiked upward, Devin kept suggesting food that he had lugged along from the Twin Lakes aid station. None of it sounded appetizing, but I knew I’d have to eat out of complete necessity. So I worked on a cup of noodles and broth. It held. Then I took a few pieces of watermelon and that worked. A little while later, a gel. Cresting the top of the climb, I shifted into a run for the first time in 30 minutes. The legs, tight at first, loosened up and I began to make good time again, running the downhills a good clip and even jogging the mild uphills. Still, I knew I’d have to eat more. Devin suggested the Clif Bloks and I decided they were worth a shot. After eating one, I had to take five minutes to settle down. Then I took another one. “Hey,” I said, “this seems to be working.” So, for the next five miles, I took another Clif Blok every several minutes. We ran through the Box Creek aid station (the unofficial Half Moon aid station), not lingering here since we were in a good groove and it was only another three miles until I’d see my crew at Treeline. The trail—a dirt road, really—continued to shift between soft downhills and flat sections. On the long, sweeping horseshoe section, I pushed a bit harder in the event that anybody was trying to run me down at this spot. Glancing back before I slipped back into the trees, there weren’t any other runners in sight. Soon, the trail turned due north. We hugged the left-hand side of the trail to capitalize on the shade. The sun was easing down in the west at this point and the shadows were growing longer. The worst of the day’s heat – which I heard hit the high 80s, a new record, at least for Race Day – was behind us. In the distance, I spotted a cluster of parked cars and smiled. I had gotten through a pretty rough patch of the race and still managed a good running pace through Mile 70. I hoped, foolishly, that the worst was behind me. But, in my heart, I knew that would not be the case. Garett arrives at Treeline right around 5:30 pm. That is Devin in grey and Holly in white. Treeline felt like a park, with lines of cars sitting on the side of the road and crews enjoying a pleasant evening. I had many friends here as well – Tiffany and Ryan Welch were hanging out. Tiff was continuing a generous streak – she’s played a role in every one of my Leadville Trail 100 runs, even my 1999 DNF. As I turned around, I spotted Elise Gardiner, Devin’s wife, holding their son Ethan. Ethan and my son, Sawyer, are very close in age, and I was reminded of my own son. I walked over and nearly took Ethan out of Elise’s arms, but thought better of it. I was already feeling like I was lingering too long here. So, while my next pacer, Bob Sweeney, transitioned with Devin, I turned and began running down the road. This section is brutal mentally – a little over four miles on a flat, wide open road across a river valley. It’s brutal because I know I should run it – especially because most every runner hoping to crack 20 hours would do so – while at the same time I want nothing more than to enjoy some long walking breaks. Bob quickly caught up to me and we settled into a good rhythm. We’re talking no faster than nine-minute miles, but that’s not too bad after 72 miles and 14 hours. I worked to keep drinking water here and took 90-second walking breaks every five or so minutes. Bob, to his credit, tried to keep the breaks to a minimum. You can say it was a push-pull relationship from here to the finish. The thing about Bob is that I knew he’d be a great pacer through the last 1/3 of the course. He knows how to dig deep himself, having been a member of the U.S. 100K National Team for many years. He also knows a lot about running mechanics and nutrition. Lastly, I knew he wouldn’t coddle me through rough patches. He’d be fair, but not overly forgiving. Right off the bat, Bob pointed out that I was shuffling my feet. That is, I was sliding them forward on the pavement instead of maintaining a true foot roll that resembles a running stride. “Roll the foot from back to front,” he said. “When you shuffle, you’re wasting energy.” He had to remind me of this many more times throughout the evening. Working hard to keep a good stride. Coming into Fish Hatchery. I could feel my energy waning here, and I began looking back over my shoulder, across the valley, to see if I could spot any other runners. I noted that Bryon Powell’s car, driven by his crew, passed by on the way to the next aid station, Fish Hatchery. That meant that Bryon was lurking somewhere not far behind me as well. I smiled knowing that he was having a great race, but I also would have preferred he not pass me. Fish Hatchery. Just before the bottom fell out. The last time I ran the Leadville Trail 100, I arrived at Fish Hatchery (Mile 76) just as I needed to turn on my headlamp. This time around, it was barely 6:30 and plenty of daylight remained. While Bob met with my crew (I could imagine the conversation … “Garett’s going to yak.” “He’s fading fast.” Etc. ), I jogged short parts of the long driveway up to the check-in and tent. I found myself thinking that the driveway seemed a lot longer now than it did at 7:30 in the morning. In the tent, I grabbed two cups of water and left. I couldn’t even smell food at this point. A few claps from inside the tent helped me to feel a bit better about the progress being made. What can he eat? Anything? Answer: nothing, at this point. As I checked out, Bob greeted me. “Alright, G-Man, we need to get some food into you.” Bob was stating the obvious, but that didn’t make my stomach any more agreeable to the idea. I can’t recall if I had any food here. My interaction with my crew was a blur, partly because of my mental state and partly because I wanted to stay focused on making as much time as possible before the sun went down. So we headed up the road for the short paved stretch before beginning the ruddy, dirt-road climb up Sugarloaf Pass. Despite my stomach, we managed some slow running spells on the pavement. Bob is a road runner to his core, and really wanted to make some time here. I worked with him the best I could, stopping periodically for walking breaks. rational music wasn’t doing me any favors on this return trip. The best description for their soundtrack as I passed: a melody best suited for an operatic drama or a funeral procession. We turned a sharp left off the road and began the gradual climb up the Pass. Bob lingered back to extend my collapsed trekking poles. Using trekking poles while running with Bob was counter-intuitive; he is such a pure runner that there was a tinge of embarrassment as he handed them to me. But I soon had far greater concerns. “Look, up there, somebody else is having problems,” said Bob. “Nobody else out here right now is feeling great. You’re doing fine.” One half mile ahead – and about 300 vertical feet above us – we spied another runner and his pacer. He was moving slowly and, at the top of a pitch, he bent over at the waist, seemingly trying to deposit an earlier meal on a cairn. Later, I would talk to at least five other runners who experienced similar nausea on the Sugarloaf climb. I joked (after the fact, of course) that the Leadville organizers would need to hose off the entire mountainside. I felt only slightly heartened by the fact that I was gaining on another runner. Soon, as I hiked the same stretch I had observed him climbing, my entire chest seemed to clench into a torso-sized fist. I wretched. Then convulsed. To no avail. “Keep going, G,” encouraged Bob. “One of two things will happen, you’ll puke or you’ll loosen up. But keep moving.” I listened while using my trekking poles to prop myself up. Bob glanced over my shoulder, at the trail. “We have company.” Two pairs of runners and pacers were steadily climbing. And they looked far better than I did. A decaying corpse looked better than I did at that point. I took ten more steps and stopped yet again. I slumped to one knee. And coughed. Then I coughed harder. And it came up. After some aftershocks, I stood up, feeling slightly better. There are times during a 100-mile race when the finish line is impossibly far away, measured by a different measuring stick than one that counts miles. All race long, my mind could comprehend the finish line. I could see it when I closed my eyes to sleep at night. Now, when I closed my eyes, I saw only defeat. The finish line was still over this pass, down a mountain, past the most tedious singletrack possible, round the north shore of a massive lake, across flat pavement, and then up three miles of gravel road. And, for me, the next tree stump felt worlds away. And so I rinsed my mouth out with a squirt from the water bottle and continued upward. Lost in my complete collapse was the fact that three runners passed me. First came Jason Koop. He gave me a fist-bump and said “You’ll bounce back.” Then came another runner I did not recognize, with long skinny legs and a purposeful stride. He obviously had places to go and a finish line to reach. Then came Bryon, looking as strong as he did climbing this pass in the morning. I marveled at how his trekking poles clicked resolutely on the hard dirt. His legs were still churning, not dragging. “He’s rocking it,” I thought. Or, at least that’s what I thought until five minutes later, when Bob and I labored around an uphill bend on the trail, and Bryon was on two knees, also expressing (quite wretchedly) his own stomach problems. “Hang in there, Bry,” I said. True to his tenacious form, Bryon motored past me several minutes later, appearing unfazed by his bout of nausea. “You need to get some calories in you, Garett.” said Bob. If I had a choice between ingesting anything, having all of my skin peeled off with tweezers, or watching the St. Louis Cardinals win the World Series, I would probably have chosen the Cards last (although that one and the tweezers are roughly equal to each other). But I also knew that calories were imperative. Somehow better than a gel shot … but barely. Don’t worry, Cubs fans, the Cards will collapse in October. So Bob put me on a program similar to the Clif Bloks earlier – I would ingest just a little bit every few minutes. It seemed very small servings were far more tolerable than huge slugs. We neared the top as the sun disappeared over Haggerman Pass. Yet the sky would still glow for another 20 minutes or so. The headlamps stayed in Bob’s pack as we crested the climb and I tried to shift into a pace remotely resembling a jog. After 10 minutes or so – and a few more sips of Caffe Latte-flavored Perpetuem (highly recommended! ), I began to feel better. That’s not to say that I felt good. Just better. As ultrarunning friend David Horton likes to say, “It never always gets worse.” His words proved true. Our eyes continued to adjust to the darkness, and we hit the smooth white stone road in full stride. Still the headlamps stayed off. By my best guess, we were running sub-nine-minute miles on that stretch – blazing, all things considered. And my stomach was holding steady. We paused for a very short time near the turn off to the Colorado Trail for the lamps. Since this section is in the trees and the trail is very technical, it was finally time to don the lamps. Bob and I stumbled more than a few times in this section, but we ran all of the downhills and levels spots – and even some mile uphills. This section has a tendency to feel very long in the dark, and I had to ratchet up the intensity level to make sure I didn’t catch my toes on any one of the millions of rocks littering the trail. We didn’t talk much here. The only sounds beside our foot plants and breathing were the occasional words of encouragement from Bob. Since I began feeling better, I was again able to wrap my head around the still-distant finish line. I was also able to perform some very rudimentary math and realize that a sub-20 finish was still a possibility (although not a given). As we left the Colorado Trail behind us and ran a short stretch of downhill pavement to the race’s final aid station (May Queen, mile 86.5), Bob spelled it out. Three hours meant that I’d need to do slightly faster than 15-minute miles. Certainly realistic, so long as I could maintain a semblance of a jog. But if I had any catastrophic delays like I did on Sugarloaf Pass, I’d be relegated to the twenty-somethings, time-wise. into the tent, hoping that some food in there would magically spark some genuine hunger. Broth? Too salty. Too much of an irritant. Watermelon? OK, I’ll try a little bit. Oooooh, that doesn’t taste too good. I figured the next stretch would be substantially cooler, so I put on some arm warmers. I placed both my hands on a table and bowed my head, just to gather myself for alone last push, before I turned and walked out the tent into the darkness. There, Holly was waiting for me to wish me good luck. With Bob still in the tent, my feet hit the paced May Queen campground road and I shifted into a very light jog. It’s not that I felt a burst of energy here, it’s just that I had the immediate urge to try to reach the 6th & Harrison finish line (and be done) as soon as possible. Of course, there was also this sub-20 possibility lingering in the back of my mind. Early-summer Turquoise Lake. In the daytime. Two half marathons, one in 1999 and the other this summer, around the Lake’s entire perimeter. Camping along the shores with friends and family, including the very first time we ever took our little boy Sawyer. Throwing sticks into the water first for my late Black Lab, Garp, and nowadays for our Yellow, Chief. Zombie-marching along the trail with my good pal John Urbana in 1998, the first year I (we) finished Leadville. Our time back then? 27:56. I include that time for any Leadville finishers who doubt whether they can substantially improve on their own finishing time. A nearly countless number of training runs through snow, sun, and sleet. Fighting for a breakthrough performance in 2004, and on track to crack 22 hours, I passed über-runner Matt Carpenter in the thickest part of this forest. Matt had started with very realistic hopes of cracking the all-time LT100 record, but was reduced to a very slow walk. His noble effort would eventually bring him to the finish line and he’d return the next year to break the mark by nearly 90 minutes. Pacing good friend Joe Kulak along this stretch, too. Twice he had to dig deep to make it through here on his way to one of his 11 Leadville Trail 100 finishes. I tried to draw from my deep collection of positive experiences here, making myself open to all of the positive forces all around. Call it singletrack karma. Or a desire to avoid any negativity. Whatever its name, it kept my legs moving and my spirits high as we clicked off the first couple of miles of rolling, undulating dirty trail. I also reflected on how, earlier in the week, I got to see Sawyer playfully run and giggle along this very trail. I even jogged very slowly beside him as he bopped over roots and rocks. The sheer joy of his experience – and the expression of pure, innocent discovery on his face – ushered me through many of the tougher miles along this lake, which has a tendency to drag on and on when the legs are battered. I noted the milestones along the Lake. The first bridge. The first deserted mine. The mud. Another sealed mine. Soon, I had nibbled off enough this stretch that I could hear faint cheers ahead. Tabor Boat Ramp! At the Tabor Boat Ramp, a cluster of flashlight beams landed on me. “Holly?” I asked, wondering if she waited for me here. “Your job is to look forward,” he said. Bob said this many times during our 20-plus miles together. But the next headlamp I spotted didn’t belong to Andy. It was up ahead. I first saw it on one of the many points where the trail ducks inland for about 50 yards before angling back toward the water. As the crow flies, the light was only a quarter mile ahead. This equated to more trail distance, though. Funny thing about the final hours of a 100 miler. I tell myself that my finishing place no longer matters and that the same applies for my finishing time. But, if I look deep within myself and grant myself a big dose of honesty, I see that it does matter … but too often only in retrospect. Even if only to myself. The problem is, such things seem meaningless at the time, when all of my energies are focused only on placing one foot forward on the trail and closer to the finish. Did I want to catch the runner up ahead? Of course. But I didn’t want to push my pace any hard than I already was. At that point, I opted to let the Ultrarunning Gods decide where I would finish. If I caught him, fine. If I didn’t, fine. As I reached the paved parking lot of Matchless Boat Ramp, the final boat ramp along Turquoise Lake, another set of flashlights greeted me. “Garett?!? !” It was my crew, a whole bunch of them, including Holly, Kristina, and the Welches, Tiffany and Ryan. The group of them acted like as slingshot, pulling me tight, lifting my spirits even higher, and then flinging me back out on the trail with renewed energy. The finish line was slowly coming into focus. My intimate knowledge of the trail paid off in a number of places, especially as the trail passed through campgrounds and various trails branched off the main one. I stayed true to the course and we soon climbed away from the lake, crossed the road, and reached the top of the short, very steep, very dicey descent to the road that would take us to Sugar Loafin’ Campground. “How much farther is it from here?” Bob asked. For the life of me, I didn’t know if it was five miles or seven miles from here. My brain had stopped to function in many ways, and my attempts to recollect this final stretch of the course were drawing blanks. “You have about 80 minutes,” said Bob. I could do five miles in that length of time. Seven miles would be difficult, though, considering that the final three or so miles are uphill. Down, down, down below, we spotted the headlamps of the runners ahead of us. Behind us … nothing. Once on flat road, I knew I would likely need to run, not walk, in order to give myself a chance at the 20-hour barrier, I knew I needed to run. Bob seemed to realize it, too. And he also seemed to be playing games with me, trying to tease a faster pace out of me so we could catch the runners up ahead. Finally, the toll of pushing the pace wore me down, and I told Bob, “Look, I’m doing the best I can right now. If we catch ‘em, we catch ‘em. OK?” Only, I didn’t say it in words as polite as those. Let’s just say I sounded more like a sailor. “Stop shuffling your feet,” Bob reminded me. My mechanics continued to deteriorate. We hit the pavement where two roads merge rather quickly. But the runner ahead of us seemed to be picking up the pace. I nodded toward Sugar Loafin’ Campground to the left, recalling the 20-mile snowshoe race that I ran here eight months earlier. That day, my hydration tube froze shut. Tonight, I ran in shorts. We ran the pavement, crossed the small bridge, went over the train tracks, and took a 90-degree right. The lamp ahead was nowhere to be seen. I walked as Bob looked at his watch yet again. We had just under an hour. Again, I couldn’t imagine how long it would take to tackle this last stretch – just as I couldn’t fathom how long the distance. All I knew was that it was uphill and torturous. We turned a sharp left for the final uphill straightaway that would take us into Leadville: The Boulevard, a tongue-in-cheek name if ever there was one. For, on “The Boulevard” there is not a building, light, or trace of humankind to be found. Whereas the word “Boulevard” conjured images of loud music, cars whizzing by, and maybe the occasional police siren, the only activity here was the uphill staggering of my legs. To tackle The Boulevard all at once, in one big bite, is a tall order. My trick during my last three Leadville finishes has been to break it off into very small, more digestible nuggets. I run 100 strides. Then I walk 100. And so on. In this way, it does not seem as long. After an initial 200-foot climb out of the river valley, The Boulevard leveled off enough to where I had a long, straight view of the entire road ahead. There it was again, the headlamp. Two of them, in fact. And one shone directly back at me. “OK, Bob, 200 strides.” And I counted them off in my head. The runner ahead was not running. I walked. 200 more strides, stretched to 300. “Just up to that next glowstick,” I huffed, noting one of the thousands of glowsticks that mark the Leadville Trail 100 course at night. Jason glanced back, at least as tired as me at this point. “Yeah.” Sometimes, summoning the strength to converse this late in the race is the equivalent of raising the dead. We walked just ahead of Jason and his pacer before shifting into another trot. This time, we stretched 200 strides into a half mile stretch. When The Boulevard veered left near the top of its climb, I finally let myself envision the finish of the race. From here, Bob and I passed a police car, arrived on pavement, and turned right on 6th. This street would climb one more steep hill before dropping and then climbing again to Leadville’s main street, Harrison, and the finish line of the Leadville Trail 100. At the top of the hill, I thanked Bob for pacing me. I’ve told him this many times, but I think he would make an absolutely incredible coach and he can consider me his very first endorsement. He seems to think that him coaching would signal the end of his very competitive running career, stamping him as a “has-been”, but I vehemently disagree. Why not do both? We allowed ourselves one more glance backward on the course. There wasn’t anybody in sight, even in the shadows. Call it paranoia, but Darrin Eisman and his pacer, Adam Chase, suddenly appeared only 200 yards behind me when I was in the homestretch in 2004. No such drama was in the works tonight. “OK, let’s just run this downhill,” I said. “Then we’ll walk it in.” When we reached the beginning of the final uphill, it was strangely easier to just run it in instead of walking. So we kept our stride. Holly and Kris jogged out to a point 50 yards from the finish line. I grabbed their hands and we jogged to the finish. They insisted that I cross the finish line alone, though, and peeled off just as my feet landed on the first threads of the ceremonial red carpet that the Leadville Trail 100 rolls out for race finishers. My entire crew was there to cheer me in – Kris, Holly, Tiff and Ryan, Rich, Devin and Elise. They stood with a crowd of 20 or so people in a semi-circle around me as I accepted a medal around my neck and immediately bent over at the waist, too tired to do much. A few seconds later, I placed my arms on Holly’s and Kris’s shoulders as they helped me to the medical tent. My body was drained. My stomach in shambles (it would be the next morning when I could finally eat something). But my satisfaction as I slumped onto a cot was possibly the finest I will experience in my very humble athletic career. I had trained all winter, spring, and summer, with a goal which I remained unconvinced I could achieve. And now it had magically come to pass (with an indescribably huge amount of credit going to my wife, Holly, and my crew). 100 miles in 19 hours 38 minutes. In the medical tent afterward, with my sis Kris. Beginning to feel a bit better. • Holly, my wife, spiritual compass, supportive (and tolerant) wife, and amazing crew person! • Kristina, my sister, who flew from Seattle to surprise me. She and Holly made up a dynamic duo of a crew. Her enthusiasm and zeal for life has been contagious. • Karen & Shelly Birkhold, my incredible parents-in-law, who traveled to Denver from Dayton, Ohio, to watch Sawyer all weekend. Something tells me that they really, really enjoyed their time with our precious son. • Tiffany and Ryan Welch, our neighbors and fantastic friends. My weekly runs with Ryan were valuable watermarks throughout the winter, spring, and summer – and very motivating. Ryan’s home-brewed beer also provided valuable carbs. • Guillaume Linossier, who joined Ryan and me for many motivating training runs. • Annette and David Fortune, who let us stay at their Leadville cottage and even came out to Twin Lakes to cheer me on during the race. • My intrepid pacers: Rich Rodgers, Devin Gardiner, and Bob Sweeney. • Elise and Ethan Gardiner, who chased all around the Rockies during the race and offered huge doses of encouragement just when I needed it. • Other runners who helped to keep me motivated and focused throughout training, including Bryon Powell, Andy Jones-Wilkins, Jason Koop, Joe Kulak, Diane van Deren, Jasper Halekas, Mark Gilligan, Scott Jaime, Bob & Darcy Africa, Ryan Cooper, Roch Horton (incredible headlamp … and the Black Diamond trekking poles saved my cookies on Hope and Sugarloaf Passes! ), Todd Gangelhoff, the Boulder Trail Runners and Fort Collins trail running Yahoo! groups. • The good folks at First Endurance, who are as fanatical about endurance sports as they are about making incredible product. Ultragen and Optygen rock. • The Tuesday morning “Motivated Associates of Boa Technology” group at work. Our weekly check-in meetings pushed me to actually meet my training goals each week. Huge thanks to the Product Development partner there as well for tolerating my prototype requests; they built the two pairs of shoes (Pearl Izumi Peak XC and New Balance 904) that got me to the Leadville finish line. It’s only a matter of time before runners chuck their old shoelaces into the trash and turn to the Boa Lacing System. • All of the Leadville Trail 100 volunteers, including race organizers Ken Chlouber and Merilee O’Neal, who have worked tirelessly to make this one of the greatest, most epic events in the world. • Chief, our dog, who guilt-tripped me out the door for countless miles. That is a frakin awesome write up. Wow, what a great report, Garett!Not a bad run, either! ;-)I just hate reading reports like this after dnf'ing a 100. I feel like such a wimp stopping at mile 51 of the Bear after barfing for several hours…See you next year!You, too, Bryon! Thanks for the bumper stickers…. Very enjoyable report. Thanks, Garett. And we enjoyed your race report too, Bryon. Nice race to both of you. Great race and report – thanks for sharing it.